Branching type flowers of good substance. Stocks are annuals that grow with upright branched stems, bearing long spikes of flowers ranging in colors from white to pink, lavender, crimson, violet and yellow. 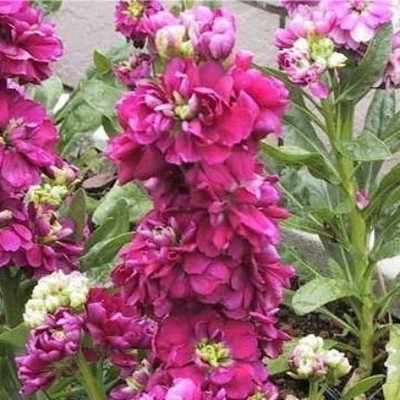 These are very fragrant flowers with a strong, pleasant scent. They are also long lasting cut flowers for floral arranging and bouquets.